Henry Beach AKA Da' Gatherer delivers a powerful soulful gospel album showcasing his exceptional vocals with top ten songs and original creations. Featuring a cover song from the Teddy Pendergrass library and ends with a song by his wife Cynthia Beach. For more information or to book a live performance go to www.dagatherer.com or contact his manger at PBX Music Group 'Purvis' at 404.823.1082. Henry Beach is a southern gospel favorite for over 25 years with top ten songs and he won The Rhythm of Gospel Award 2011. 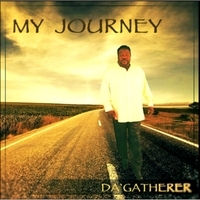 Featured in "Total Praise Magazine" Da Gatherer is gifted with a golden voice and powerful original songs that deliver a message that lines up with his vocation Pastor Henry Beach.